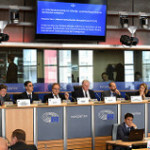 The opinion on entrepreneurship in the islands, based on the report by Marie-Antoinette MAUPERTUIS, CoR member from Corsica, was voted in the Committee of the Regions (CoR) plenary session on Friday, 12 May. It proposes arrangements so that EU territorial cohesion policy evolves towards a fair compensation of constraints in the islands. It also contains essential practical measures on priority points such as State aids (e.g. the de minimis rule) or specific programmes for island territories. These are fully in line with the spirit of Article 174 of the Treaty on the Functioning of the European Union. The CPMR and its Islands Commission (IC) are involved in the process of preparing EU instruments for the post-2020 period. This particular opinion falls within this context as it addresses key policies for peripheral territories, in particular those on cohesion, transport, energy and State aid.